When potential buyers visit your home, they often feel like intruders. After all, in most cases, they don’t know you personally. Yet, there they are, walking through your hallways, looking in your bedroom closets, and even checking out the cabinet space in your washrooms. Obviously, you want buyers to feel comfortable when they are viewing your house. But how do you make sure they do? 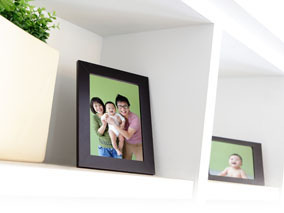 First, pack up family photos and other personal items you have dispersed throughout the home. Why is this important? When a buyer sees a diploma hanging on the wall, they get that uneasy “someone lives here” feeling. Second, don’t be in your home during viewings. Instead, visit a coffee shop, go shopping, or take the kids to the park. Buyers feel really uncomfortable viewing a home when the owners are there. As a result, they may leave without giving your property serious consideration. If you absolutely must be home during a viewing, try to remain out of the way. Don’t volunteer information or attempt to give buyers “the tour”. Instead, be available to answer questions, if asked. Next Next post: Beware of Home Hunting Burnout!